Have you ever thought about starting a mindfulness practice, but are intimidated by the traditional sitting approach? You can easily infuse awareness and non-judgment into everyday activities like brushing your teeth, walking to your car, driving to work, or eating dinner. Another way is through art-based practices, which are intentionally placed throughout our curriculum, and is the subject of a workshop I’ll be giving at the Bridging the Hearts and Minds of Youth conference in San Diego next weekend. 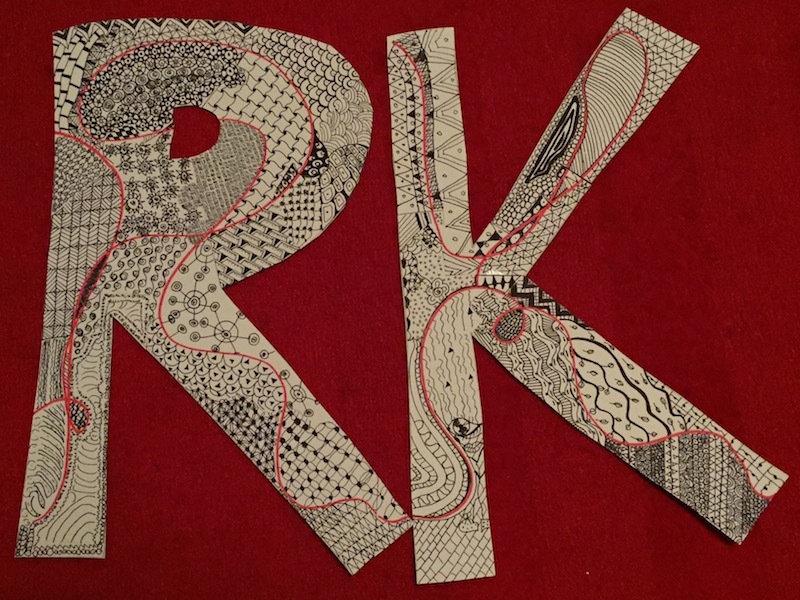 In fact, the image of our organization’s letters is the outcome of a collaborative doodling practice our team did together at the last staff meeting. So, the next time you’re brushing your teeth, walking to your car, or engaging in your favorite free-time activity, try practicing mindfulness. Try focusing on just what you’re doing, and paying attention to the way it feels. Notice, without judging, the sounds, the smells, and the rhythm of your breath. This is what it feels like to be present.